We recognise the importance of getting your commercial vehicles back on the road as soon as possible. 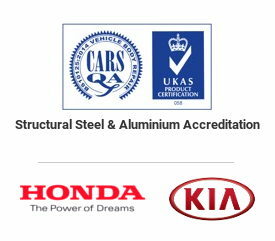 Our quality service for vehicles up to 7 and a half tonnes will assure speed as our specialist staff are trained experts in this field dealing specifically with commercial vehicles only. By using the latest technology and vast experience of working in this field your fleet will be repaired with minimum downtime by our efficient team on our commercial site. We use the latest management systems and can update you daily on the progress of your vehicles. 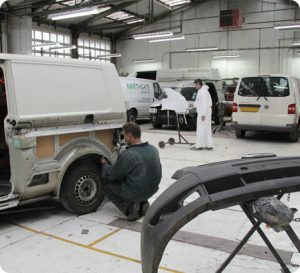 If you would like to find out more about how we can help with commercial body repairs please contact us.